It has been one of the worst couple of off-season months- with barely 30 to 35Km weekly mileage. This has been mainly due to mental and physical lethargy and a very hectic and stressful work schedule. The lowest point was when I was unable to get out of bed for two consecutive weekends. I cannot remember the last time this has happened with me though I did manage some cycling on both those weekend. Almost three months after my last marathon at Auroville I did my longest ever run since then - I clocked 28.5Km running with the BHUKMP gang yesterday: . Hopefully, this is the turning point for me to get back into the groove. With the first race of the season,TCS World 10K, 4 weeks from now and the Hyderabad marathon at the end of August regular training should be easier - specific events certainly increases the motivation level to go out there and train. During the last weeks it has not just been low mileage but also the quality of runs has not been great - I have often struggled to sustain a pace that in the past I have done easily before. I attribute this partly to increased mental stress - the state of mind, as we know, influences the quality of pretty much anything that that a human does. Which means while running improves both the physical and mental state of a runner ,the reverse is equally true - perhaps another topic for a future post. Another reason for this is a slight increase in my weight due to a fair amount of travel in the last 6 weeks. Being a non-meat eater my consumption of cheese,eggs and chocolate/desserts goes up whenever I travel outside the country on work and this leads to easy weight gain. I was away on a 15 days long trip - the longest trip on work in nearly 16 years. While I did get a decent amount of excercise during this period including a few runs in the treadmill(which I dont much enjoy) and a fabulous trail run(see below) , I nevertheless gained 3 whole Kilos during the trip going from a low of 59Kgs to slightly over 62! A third reason could be that I have been off my weekly strengthening sessions since the end of January. The Manipal Hospital Department of sports medicine where I have been going for strengthening sessions for the last two years or so. 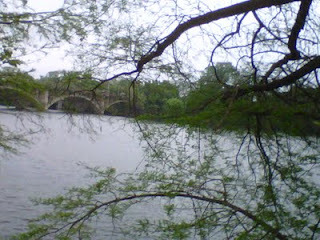 During the above trip I had a very enjoyable run at the Town Lake trail in Austin, Texas. 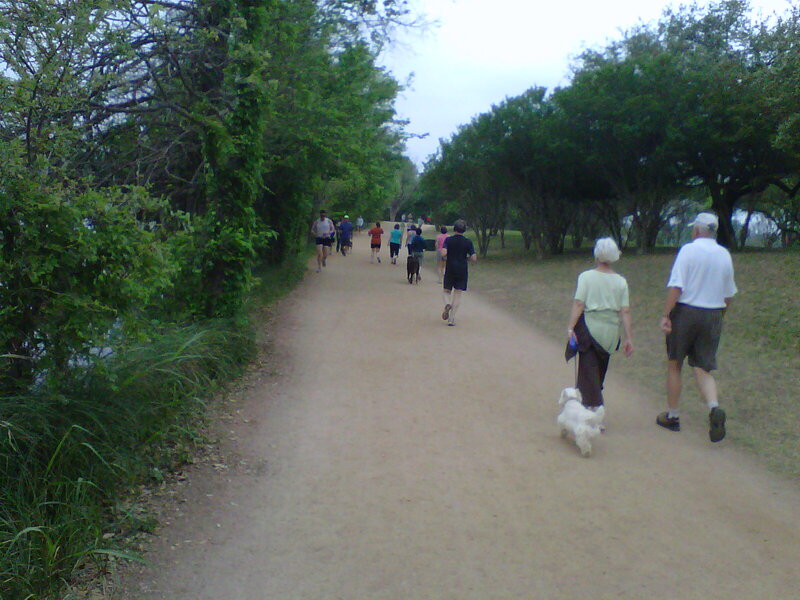 This trail provides loops of distances varying from 3.1 miles to 10.3 miles to runners and also has a separate trail for cyclists. Lady Bird Lake (formerly Town Lake) is a reservoir on the Colorado River in Downtown Austin. On 2nd April the day I ran this (along with my manager who is a 3:45 marathoner from Belgium) the weather is quite Bangalore like - about 23/24 degrees celsius. Most of the run was through shaded areas and on a trail. We had to cross the highway just once. I managed a comfortable 21.75Km in a little over 2 hours and enjoyed it thoroughly. It was a pleasure to see so many runners and walkers on the trail a number of them running or walking with their dogs. Have never ever before seen so many dogs being walked together. I did one loop of 16.5Km+ followed by another of a little over 5Km. 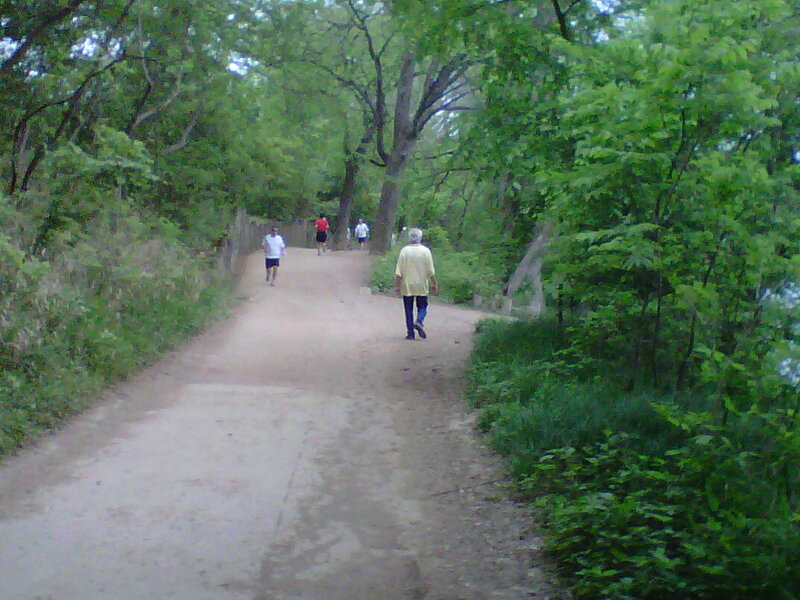 Couple of photos that I took from my Blackberry do not do full justice to the pretty trail. A couple of final points in this longish miscellaneous post. Hats off to Dharam - a very close friend who has taken 6 months off from work to train in the US with the objective of quality for Boston 2012. After several months of intense training under a coach he ran a FM last sunday at an astonishing time of 3:09:46- shaving more than 50 minutes off his previous best timing! Kudos to his coach as well and I am extremely happy that Dharam's hard efforts and focus have paid off. However,unfortunately due to the changes in qualification timing and registration process announced recently by BAA this does not guarantee his qualification. In fact this change has reduced my motivation to train specifically for Boston as I would need to complete a FM in 3:30 in 2014 and this is just impossible. Here's wishing Dharam the very best for his next FM in a few weeks at San Diago. And finally I am also happy for my cousin Mrs. Raji Srikant who is training for the TCS World 10K with Runners High and is now able to comfortably run 10K. She had run/walked through her first 10Km at Aurovile three months ago without training. 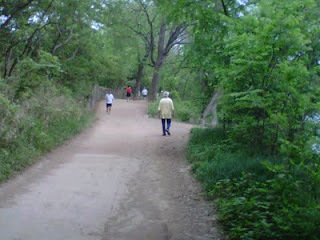 Even more importantly she is enjoying the running and feeling great about it! This of course is not surprising at all.